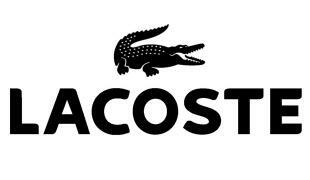 Lacoste is a French clothing company founded in 1933 by René Lacoste (was nicknamed "the Crocodile" by fans because of his tenacity on the tennis court). Lacoste has introduced a home line of sheeting and towels. The company can be recognized by its green crocodile logo.